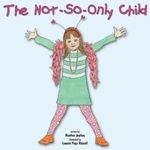 Larissa is an only child, but she is not alone! See how big this only child's family is! This book shows that an only child can still have a very full family with different lifestyles and ethnicities represented in her world. Jopling, Heather, "The Not-So-Only Child" (2006). DIVerse Families. 382.